Friday update: what to do? Yesterday Ryan saw a video of some really clear blue water from somewhere near here. Could it be true that the Southerly winds we have had since last Sunday blew in some clean blue water??? Of course the wind goes away the day we have to go back to work. That work thing really gets in the way of life! 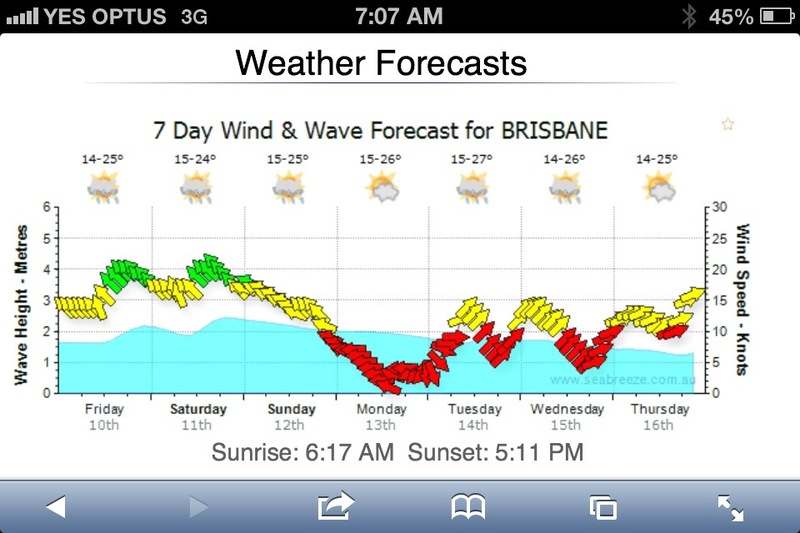 Perhaps Ryan will dust off his kiting gear. I’m going to say it is too cold to have a lesson, and then have another one of those “I wish I owned a decent camera” moments watching him go. I might try to convince Ryan to take me surfing at a beach that is fairly protected from the wind. To everyone living in Australia, don’t forget to make your mother feel special this Sunday. TV and radio have been reminding you for weeks, and this is me reminding you that it is Mother’s Day. If you are taking her to the beach/seaside, try to go somewhere protected from the South East. Check back next week to see if we went on an adventure. Otherwise I’ll try find a more exciting story for you from our past….